congratulations Cathie! I will email you to get your information so you can get your prize! *please note that when I did the drawing there were 217 comments. The others were made after. Thanks for hopping-there's still time! I don't live in Canada. Sometimes I wouldn't mind it-because they are so much more allergy aware up there. So since I'm in the US, I buy my Canadian candy from Peanut Free Planet (link is in the sidebar in my favorite sites section). If anyone you know is allergic to nuts, tell them about this site. They have hundreds of items that are safe for nut allergic people. Recoloring in Photoshop (or Photoshop elements) is pretty easy. I will try to post a quick how-to soon. The best place to learn about using Lettering Delights and other companies' files in Make-the-Cut is at the Under a Cherry Tree blog. Jin does amazing work and has some great tutorials on her blog, including how to use a graphic (instead of an svg) and trace it to use in MTC. I think that's all so far. If you haven't signed up for the blog candy yet, just click here and leave a comment. thanks again! 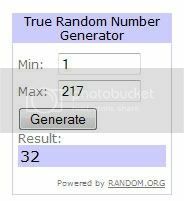 It's a Birthday Blog Hop-with prizes!! 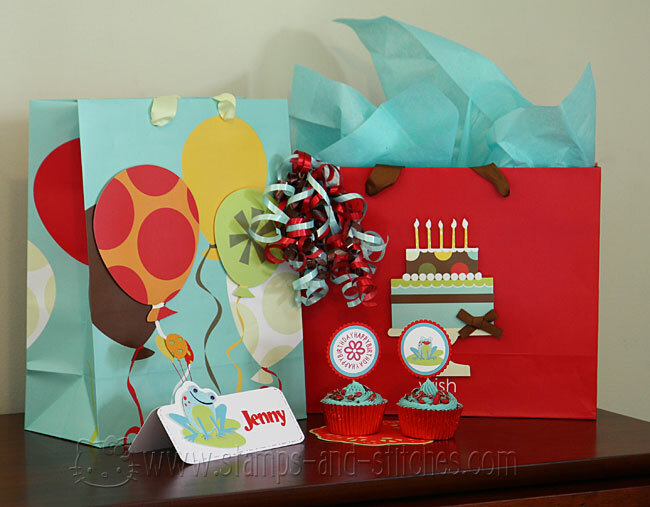 Welcome to the Joyslife.com Birthday Blog Hop where we are wishing Joy a very happy birthday!! This is my very first blog hop so I hope I don't mess up! You may have come here from Ann Marie's blog. If not, then you can do the whole hop by going to Joyslife.com and clicking through to each blog on the hop. In case you get sidetracked, here is a list of all the stops in this hop. So here is my birthday blog project. I decided to do a birthday place marker and cupcake picks. 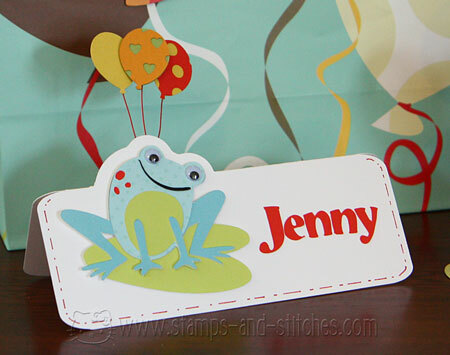 I love the new Lettering Delights Frogs and Kisses graphic set and svg set. 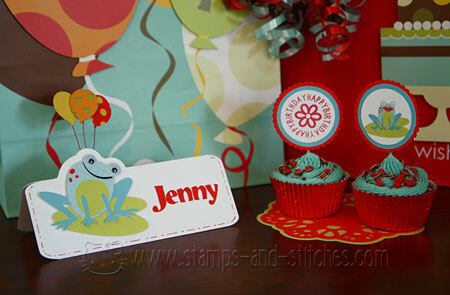 Even though it seems to be a Valentine themed set, I thought it would make a cute froggy birthday theme. I did want to change the colors of my frogs so I used Photoshop to do that. I used Make-the-Cut and my Cricut to cut out the parts for the place marker. 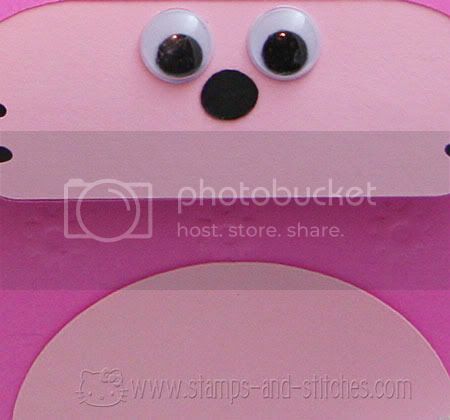 The frog was directly from the svg file but I used googly eyes instead of the cut out eyes. I think frogs look great with googly eyes! I used various MTC functions to make the place marker with the sticking up part (technical terms here). The balloons were made from a balloon graphic I found online and converted to a cut file. For the two-tone balloons I cut out two, used punches to punch the holes, and then layered them together. I used some wire I had on hand to attach them to the place marker. 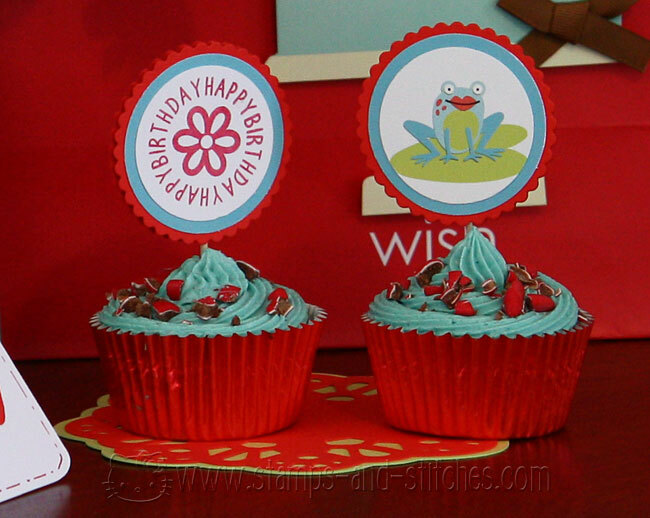 For the cupcake picks (easy peasy) I just chose a graphic from the Frogs and Kisses set, changed the colors in Photoshop, and resized and printed it onto card stock. For the other side I used a stamp from the All Around Sentiments set from Joyslife.com. I punched my stamped images and my printed images with a circle punch, matted it onto a larger colored circle, and then layered those onto scalloped circles cut with nestabilities. I stuck them together with Stampin' Up Dimensionals with a toothpick in between to stick into the cupcake. The doily is cut from a file I found on this blog and modified. The bags were from Target. I like to keep bags on hand because I hate wrapping gifts. Hate it. The cupcakes are topped with crushed Smarties. Smarties are the Canadian version of M&Ms. Since my daughter is allergic to nuts, we don't buy M&Ms but Smarties are just as tasty and perfectly safe. I collected the red ones (had to eat a lot of other colored ones to get these), crushed them a little, and sprinkled them on. Now for the blog candy, courtesy of Joy! Up for grabs is one of her amazing stamp sets, Lots of Pun. This is such a cute set! If you have the Create a Critter cricut cartridge you NEED this set-it goes perfectly with so many of the critters. 2. become a follower and leave another comment letting me know you did. If you are already a follower of my blog, leave a comment letting me know that instead. Sign ups end at midnight eastern time on Feb 22nd. Please make sure there's a way for me to get ahold of you. 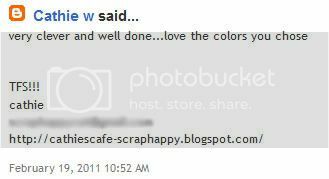 If you don't have your email in your blogger profile, please leave it in the comment for me. If you are interested in buying this or any of Joy's other stamp sets, just go to Joyslife.com's products page. Joy is offering free shipping right now too! In just 2 short days, my friend Joy will be having another birthday!! 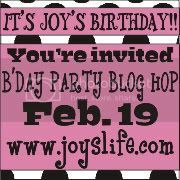 To celebrate, I will be participating in the Joyslife.com birthday blog hop, and any good party has a prize, right? There will be blog candy so stay tuned! 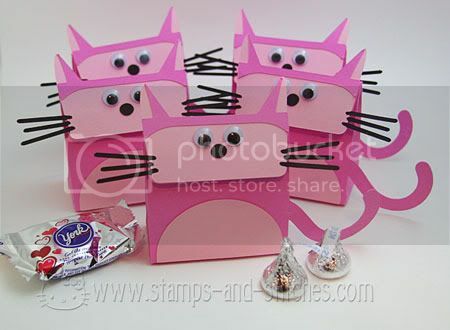 I made these for my daughter to give to her dance classmates for Valentine's day. I saw them on my friend Jin's blog and let me tell ya, she is a dedicated crafter. It was all I could do to make these without throwing it all out the window and Jin made dozens! Good thing Sammy only has 4 other girls in her class. So I made 6 (but there are only 5 in this pic) so she could keep one for herself and also give one to her teacher. 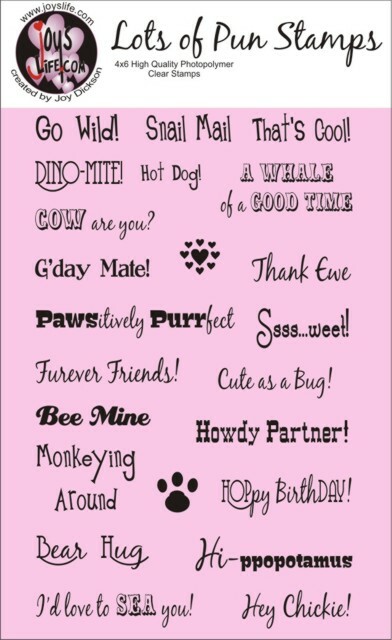 The svg file is called Animal Valentines and is from Lettering Delights. All paper is Stampin' Up. The original file had cut out eyes but I decided I liked the googly eyes better. The texture plate that I used for the body is from Sizzix. You can't see the texture on the first picture but you can in the closeup.